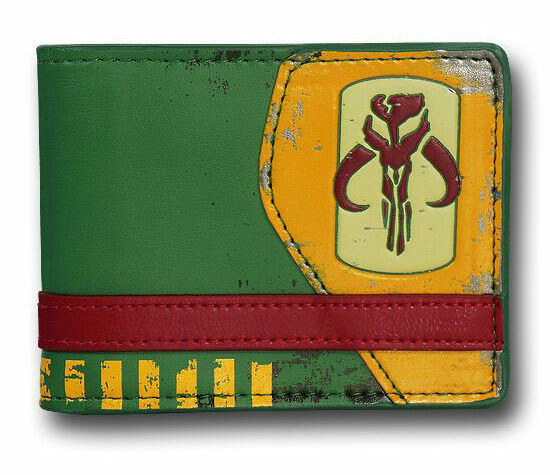 You are going to feel just like Boba Fett each time you stuff your bounty in this Star Wars Mandalorian Symbol Bi-Fold Wallet. 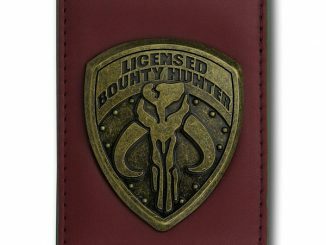 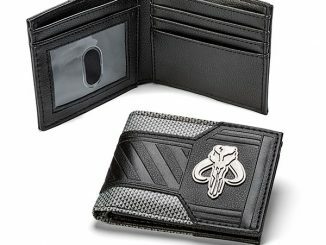 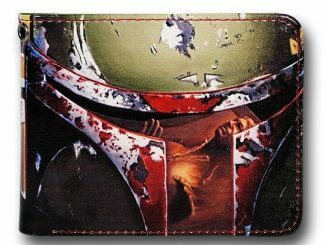 This 4.25 inch wide by 3.5 inch high Star Wars Mandalorian Symbol Bi-Fold Wallet looks amazing and was inspired by Fett himself. 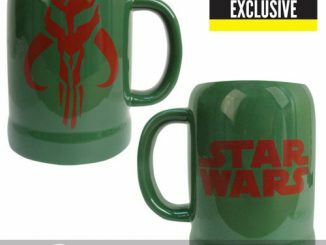 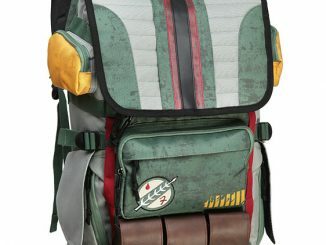 It has a Mandalorian symbol and the color scheme of Boba Fett. 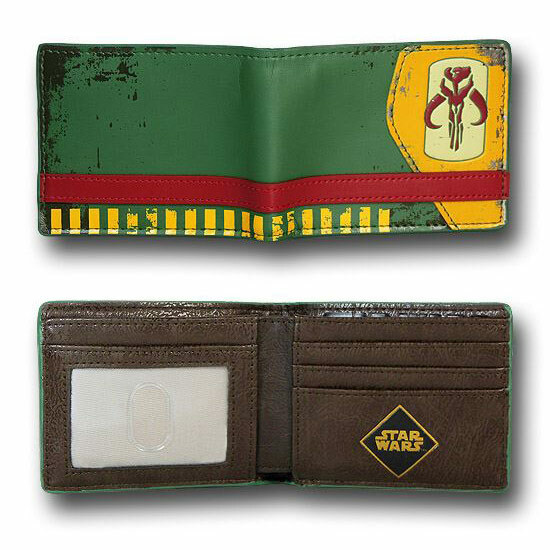 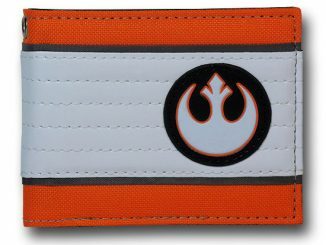 It is made of 70% polyurethane, 15% polyester, and 15% cotton and has several inner sleeves, a see through pocket and a bold brown texture and Star Wars logo, along with a spot for money. 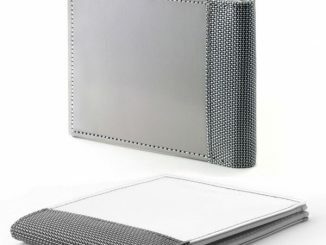 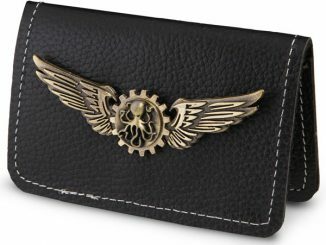 Only $17.99 from Superherostuff.com and $14.99 at Amazon.com.